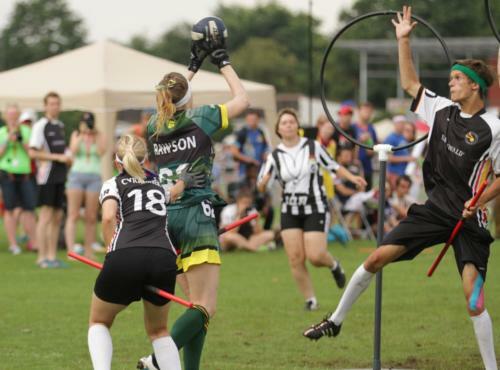 They have been crowned Australia’s new sporting champions but the national quidditch team, who go by the name Dropbears, are still trying to be taken seriously. 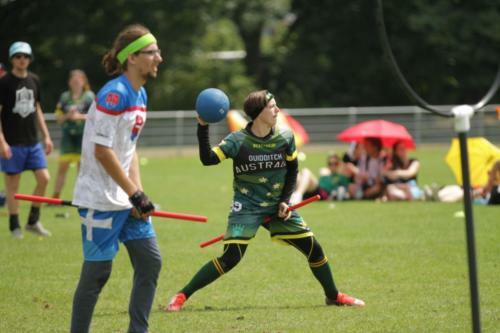 The team recently claimed the Quidditch World Cup in Frankfurt, Germany despite the game not being officially recognised as a sport in Australia. Derived from JK Rowling’s enormously popular ‘Harry Potter’ books, quidditch is a full-contact team sport that was first played in Australia about five years ago and has since grown to involve 25 teams across the country. 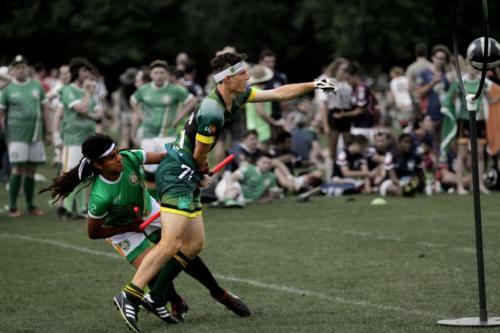 But the president of the Australian Quidditch Association, Nicholas Hirst, says teams still have trouble hiring grounds to play on because the game is not treated as a serious sport. Quidditch is played outdoors on a field between teams of seven players, who run around with a broom between their legs. Aside from this emblem of the “Potterverse”, the sport combines elements of basketball, rugby and European handball and is mixed gender. Teams score points by throwing a ball, called the quaffle, through hoops at either end of the ground. Each team also has two “beaters” who throw dodgeballs, known as bludgers, at the opposing team. Just like Rowling’s fictional sport, the game ends when either team’s “seeker” catches the coveted golden snitch. “The three game elements happening at once mean that it is a highly tactical and strategic game that also still has that highly physical aspect,” said Hirst, 24, who has played for the Melbourne Unicorns for three years. “There’s nothing else out there like it. 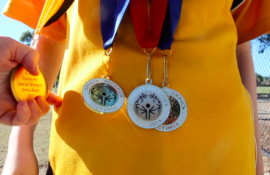 One of the Australian Sports Commission’s criteria for official recognition is that a sport must have 1000 registered members across the country, ensuring that it could be sustained over the medium to long term. The Quidditch Association currently claims about 600 registered members, but Hirst believes this number will rise when the new season starts. “We’ve had a lot of expressions of interest for next season and a lot of new people are training with teams but aren’t actually members yet,” he added. Hirst believes Australia’s World Cup triumph will help grow the game further. 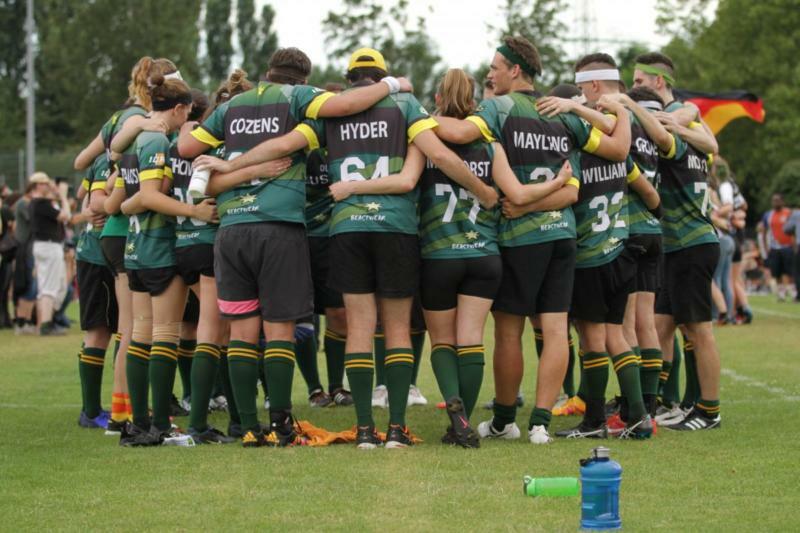 “What the win really showed is that the quality of Australian quidditch is up there with the best and if we work as a team we can take on the best team in the world,” Hirst said. 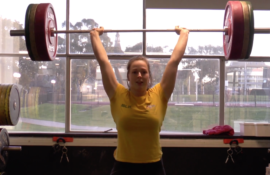 Taya Rawson, who plays as a chaser for the Dropbears, took up the sport three years ago after hearing about it from friends. “I thought it was just going to be something fun to do in our spare time,” she said. “I went to my local team’s training session for a laugh and it was unreal. It was so much more competitive than I was expecting. Rawson also said the sense of community was one of the things she enjoyed most about the sport. 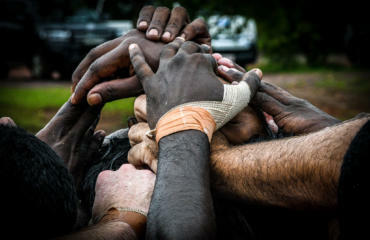 The Australian players’ push for recognition mirrors that of players across the globe. 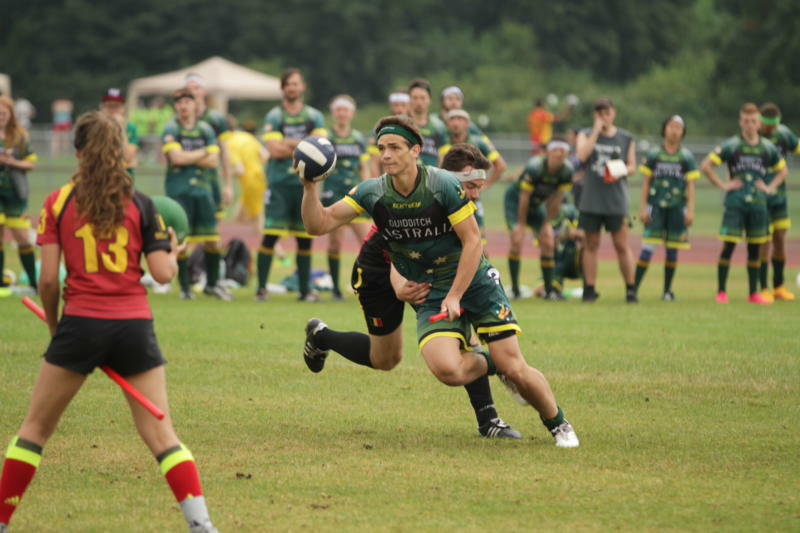 Although quidditch is not yet officially recognised at the international level, the president of the International Quidditch Association, Brian Gallaway, described this as a “major project”. International recognition would require the sport to be played in at least 40 countries, with the association being compliant with world anti-doping codes.